Werewolfrulez The best metal album in 2014! Favorite track: The Stoic Speaks. caitanya Heavy and anthemic songs with loads of awesome riffs and a nice mix of aggression and melody! What's not to like about this prog gem! Favorite track: Chorus of the Earth. 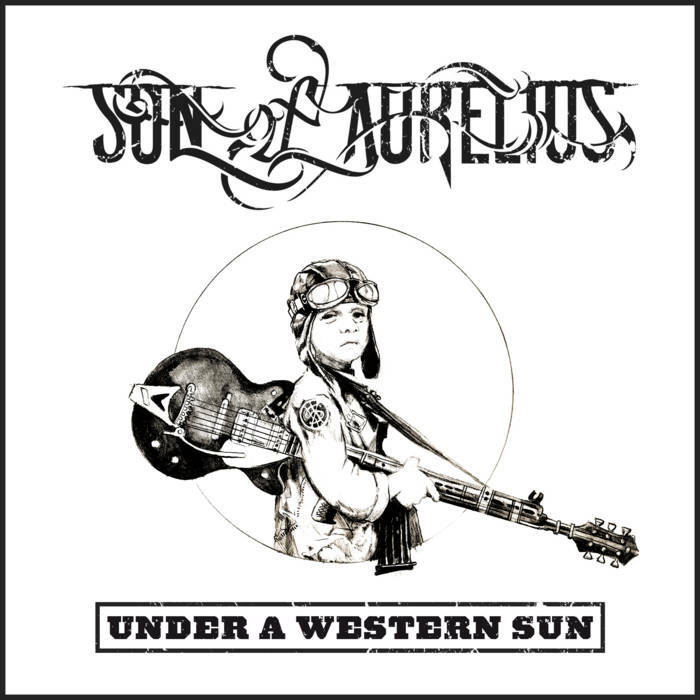 William Owens Under A Western Sun makes Son of Aurelius seem like a different band when compared to their tech death roots. Not that the level of technicality is anything short of amazing, but with more consistent cleans, especially the insane vocal work on "Long Ago", this album sheds new light on a band that I thought I knew so well. Favorite track: Long Ago. Kyle Ruddock Riffs and hooks for days. Incredibly technical, but not forced. Heavy, epic, anthemic. Favorite track: The Weary Wheel. Hasib Neaz One of my favorite records of 2014! Favorite track: Long Ago. Kyle Waymire While The Farthest Reaches holds a special place in my heart being one of the most unique and talented Death Metal releases I've heard, its little brother here is actually a more mature product. 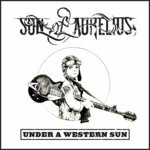 With more variance and very intelligent songwriting paired with almost operatic vocals and wailing guitars that harken back to old, Son of Aurelius loses nothing and gains much with this prog blockbuster. 10/10 Favorite track: The Stoic Speaks. 72 minutes of melodic prog metal. Recorded July 2013 - March 2014 by Max Zigman at Parade Outrageous Studios and Zack Ohren/Castle Ultimate Productions. but by the time I arrive it's already gone. long ago when there was nothing here. and escape to a plane that I find sacred. Somewhere along the line a transition takes place. my legs barely carry me high enough to crest the mountain to the sky. The temple crumbles into dust. of a future far to come. throes of our brethren before us. and descends as fast as it arose. Alas, this is just wanton hope. they've got only each other to stand on. but unable to make it. We've limited our freedom and called it contraband. Do not reach for me in faith, you'll be cut off at the hand. roaming alone through the great unknown. something I need to know. and all the other horrors of the world. Meaning seems lost in this modern conquest. effectively crushing the ideals of the two. All of them will fall before us. "The soul becomes dyed with the color of its thoughts." waiting for their time to come. and will persist long after our deaths. Don't tell me your agenda; I have no hope for Heaven. There is no eternal sleep. What you make of this life will be your legacy. perspectives of Heaven that the clergy force-fed us. Do not fear the gods, for there are plenty of monsters here on earth waiting to birth their schemes and drown us all while we dream. Don't be afraid to take the reins of your spirit's duality. is a perfect greatness lying in wait. With all of its intention and spacey themes. into a sadness deeper than the soundest sleep. let alone felt or heard or seen. If I have not been, I won't speak. when we could get by with skinning our knees. the horizon from the tide. I am pulled inside and I am frightened. before I realize that I have never been me? Who am I? Is this life really even mine? to know you as myself and be rid of your presence forever. to all but the ones most important. I and all my kind will die as lies. older now than ever, I know that I am empty. and lays waste to any brave enough to face them. With grinning visage, they embrace the horror of the ants beneath their feet and feed. Those trained to defend against such a horrendous act have led their men to higher elevations, and I am all that's left. I must find friends that are also as destitute to bring retribution to this mighty unknown and vicious enemy to every living soul. We must destroy them, or in the struggle be destroyed. Shaken by grief and void of all moral support, we've retreated and lost all that we've worked so hard to hold on to. A year has gone and we must take back what's ours. that they will drive them back beyond the walls. and even as Icarus falls, the world is turning 'round. that we may never see, but will always seek. Just out of reach we can see it gleaming: meaning. colliding with a ghost train of thought, I expire. and even as Icarus falls the world is turning 'round. As the vine grows on the rotted oak, I grow strong. that I have never known before. far beyond that from which I once fled. As the vine grows on the rotted oak, I grow old. but instead we built homes out of oil and gold. I remember long ago when we destroyed the world. they will find the way and triumph death.